#844 I went to “familiar” in Kobe. I went to “familiar” in Kobe. 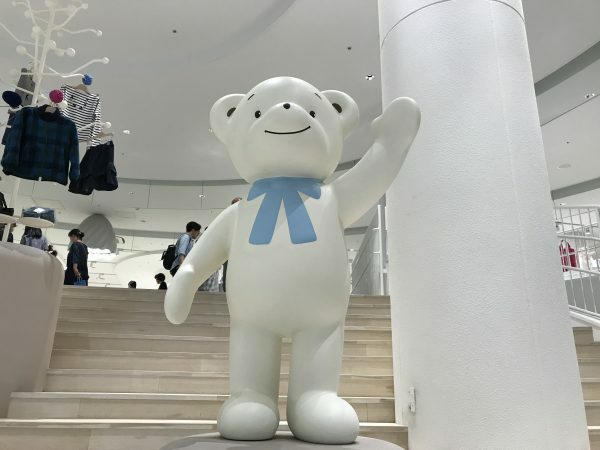 It is a clothes store for babies & children. Since my younger brother and his wife had a baby this month, my husband and I wanted to buy a baby gift for them. 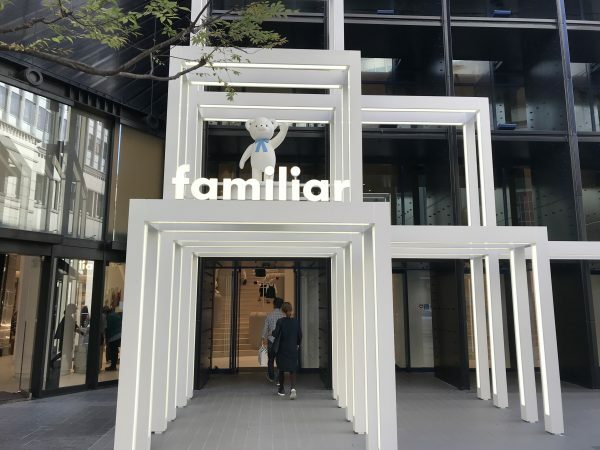 Familiar opened a new store at Kyu-kyoryuchi area last month. When we got there, there were many customers. 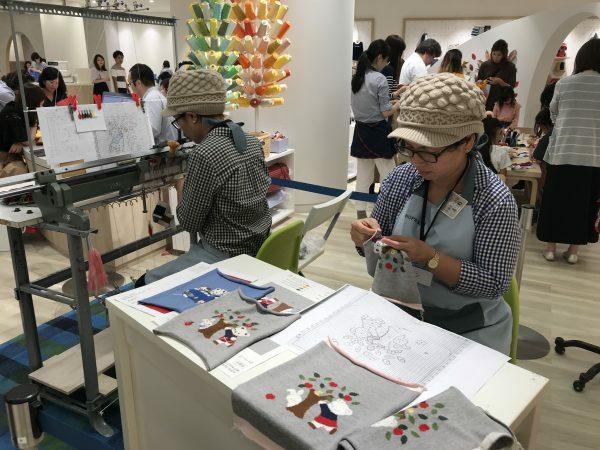 I was surprised that every items were quite expensive but it’s fun to look at them. We decided to buy a poncho style bath towel and a baby bottle. 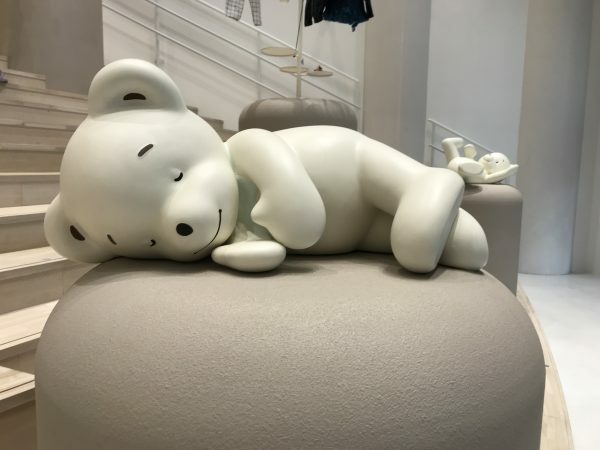 Although I am not familiar with babies and children store, it was fun to see the world that I’m not used to. We were satisfied with finding a gift for my brother’s baby boy who hasn’t had his name yet. I found a pack of coffee beans at Costco. 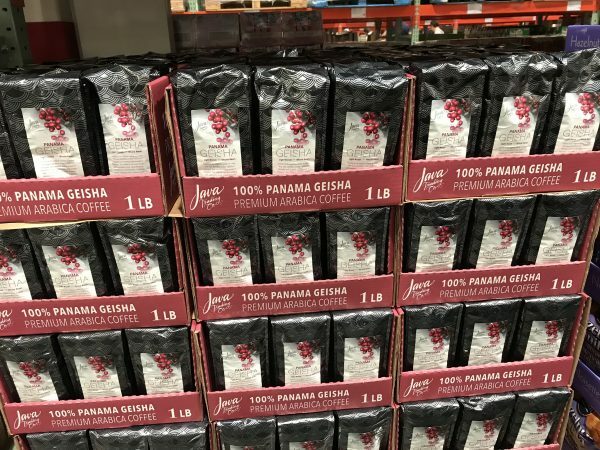 When I went to Costco I found a pack of coffee beans named “Geisha”. Surprisingly, the coffee company which produced the coffee packs was the company that I used to work long time ago. I looked at the coffee for old time’s sake. 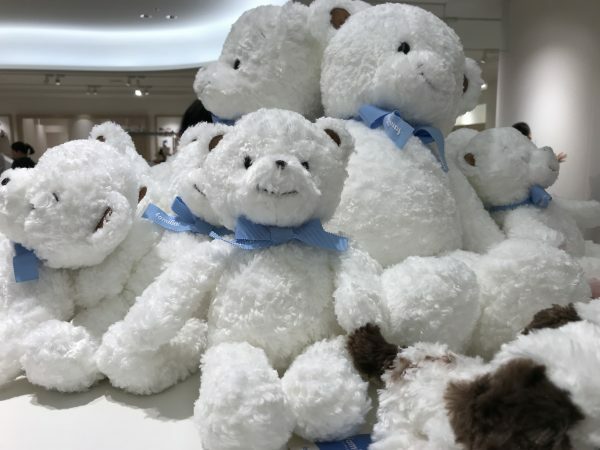 Although I was interested in it, I didn’t buy it because the price was quite expensive. 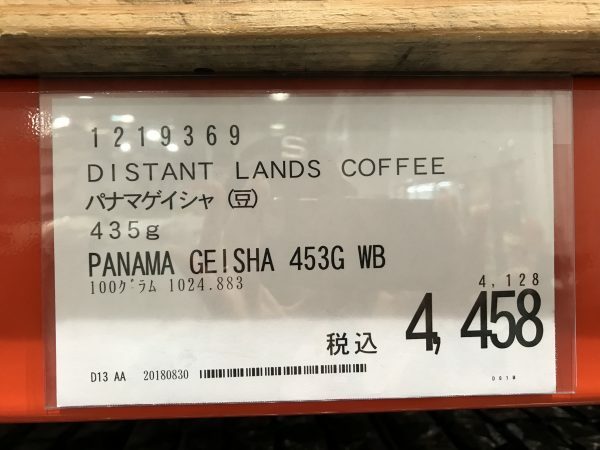 A pack of coffee was 4458 yen. Let me explain about “Geisha” coffee. For Japanese, geisha means traditional and highly skilled entertainers. Actually I have seen a coffee package with geisha girls before. I was wondering if geisha coffee is related to Japan when I saw it back then. This time I checked it on the internet. Geisha coffee was discovered in Ethiopia in 1930. In 2004, this coffee was made famous in Panama. It won the best of Panama coffee auction. The coffee has incredible floral, citrus and honey flavors. Now, it’s the highest per-pound price ever paid at the coffee auction. Geisha’s name comes from “Gesha” region of Ethiopia. The point is that geisha is not the actual name. It is supposed to be “gesha”. 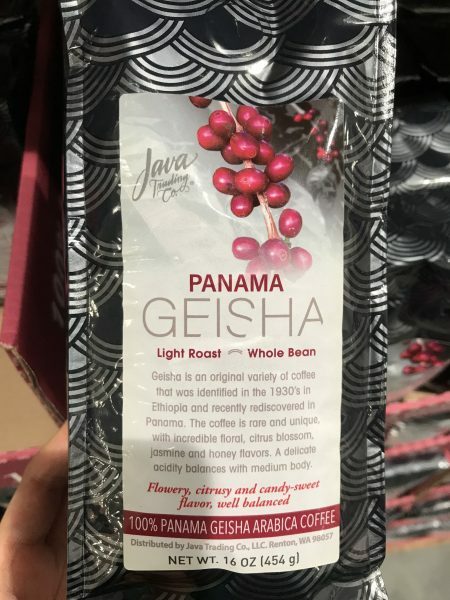 So geisha coffee doesn’t have any connection with Japan and geisha girls. The other day, I found the article “Stop calling it Geisha already” on the internet. Some coffee experts say that we should call it gesha instead of geisha. My question was answered after reading the article. On a second thought, maybe I should have bought it, shouldn’t I? Have you tried gesha coffee before? How was it?